After listening to David Attenborough on Netflix's latest documentary series, 'Our Planet', we are now more aware then ever of the negative effect humans have on our planet. We have explored and left our footprint on nearly every corner of the globe. As a result, most of our planet's ecosystems are facing multiple threats to their existence. A rising climate, increased carbon emissions, deforestation, and pollution are all contributors to this phenomenon. Each one of these threats puts additional stress on already weakened environments and the wildlife that inhabit them. Increasing human invasion on terrestrial and freshwater habitats is causing a rapid loss of biodiversity. This process also threatens food security and population health, due to increasingly limited resources. Climate change is also a major contributor to this runaway process, as some species aren’t able to adapt to ever-fluctuating temperatures. When an ecosystem has been dramatically altered or destroyed by human activities, it can no longer provide the fundamentals for species to survive. Every day there are fewer places left that wildlife can call home. Our varied, habitat-specific work is dedicated to the protection and conservation of these areas, and is one of the best ways you can help combat the ongoing destruction of our planet. Water is our biggest resource for life on our planet. But overfishing, plastic pollution, ocean acidification and growing dead zones is leading to severe repercussions on our overall ocean health. Belize, for its small size, is remarkably ecologically diverse. However, the Belize Barrier Reef is under significant threat, mainly from improper waste management, rapid coastal development, and weak institutional and legal frameworks. The daily conservation volunteer work in marine habitats in Belize seems to have the biggest tangible impact on the preservation of the country’s increasingly fragile ecosystems. 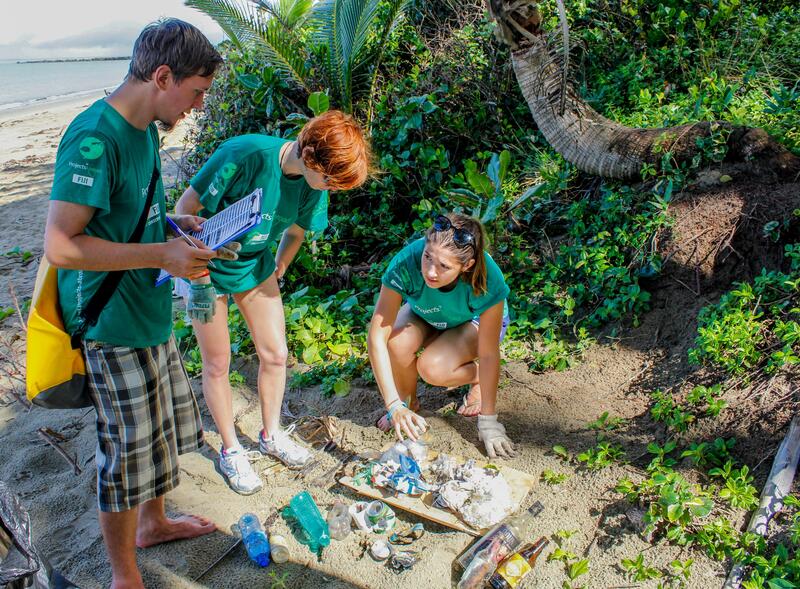 Volunteers take part in salvage dives and beach clean-ups to reduce litter in the area. Another way we assist with conserving marine habitats is by collecting essential scientific data data. Volunteers often go on survey dives to collect data about the creatures living along the reef. We collaborate with the Belize Fisheries Department in two Marine Protected Areas (MPAs), providing them with resources to collect data relating to marine species, which inform their policies and their management. Recently, through our involvement in the campaign against offshore oil - including a public forum, peaceful protests,and advocacy campaigns - we also supported the removal of Belize from the UNESCO World Heritage Site Endangered List. Efforts like these show that raising awareness about environmental threats can go a long way. The Amazon rainforest is considered the “lungs of the world”, producing more than 20% of the world’s oxygen. Yet it remains the biggest deforestation front in the world. In the Peruvian Rainforest, this deforestation is primarily caused by illegal logging. In a bid to provide greater access to profitable timber the team at our conservation base investigate the best techniques to produce high quality timber trees in artificial plantations. They have shifted their focus to the lesser known ironwood tree which has become highly sought after for parquet flooring. The advantage of the ironwood tree over other timber is that it is incredibly resilient to disease, only requiring minimal maintenance when planted. This tree species has a complex natural history which has deterred people from trying to grow it in plantations. However, the team have now germinated over 100 saplings in our nursery. They are planting them at our second agroforestry plot to monitor growth rates and evaluate how successful their efforts have been. This could be a sustainable solution to prevent further large-scale depredation of the forest in the years to come, while actively reducing the project’s carbon footprint. Elsewhere, conservation volunteers work at the rescue and rehabilitation centre, caring for rescued animals and releasing those who are fit back into the wild. In 2018, we released over 40 species, including ocelots, margays, capuchin monkeys, toucans, macaws, sloths, and tortoises. The most significant releases involved our 6th and 7th group of Peruvian spider monkeys. We have now released a total of 35 spider monkeys since 2010. This species was extinct in the area for almost a century due to hunting. Our internationally recognised reintroduction programme helps re-establish wild population. And in 2018, we saw the birth of 7 baby spider monkeys in the wild! The Bushveld of Southern Africa is typically comprised of well-grassed plains that are dotted by dense clusters of trees and tall shrubs. And in the savannah-like landscape of Botswana, climate change is single-handedly causing more extreme weather patterns. This is the leading contributor to exaggerated drought and heavier rainfall cycles. In order to reduce the risk of desertification and soil erosion due to overgrazing by cattle, volunteers build waterholes at the reserve in Botswana to create a sustainable water supply for wild animals during the drought. They also help construct erosion barriers and plant grass and trees in a large area of the reserve to maintain top-level soil during heavy rains. Illegal poaching of bush meat is also a major challenge to wildlife conservation in Botswana. As a conservation volunteer, you will help reduce poaching in the Tuli area. You will mainly do this by joining local staff members in removing snares around the reserve. Since the start of this initiative, 1,800 snares have been removed. The numbers are decreasing every year, showing that poaching is declining in the area. Our team in Botswana also report suspicious activity to authorities which led to the arrest of a major poacher in 2018. Mountains are among the most fragile environments on our planet. They are rich repositories of biodiversity and water, and downstream communities rely heavily upon them. Nepal is home to arguably the most famous mountain range on the planet - the Himalayas. However, global warming is greatly affecting the life cycles of its ecosystems. Snow cover, in particular, provides frost protection for plants in winter and water supply in spring. Vegetation communities that live in snow beds and hollows will be the most vulnerable to climate change because they will be subject to more extreme summer conditions. As species will be affected differently by climatic changes, relationships among species will be altered. Ecosystem functioning that depend upon interactions among species could also be affected. 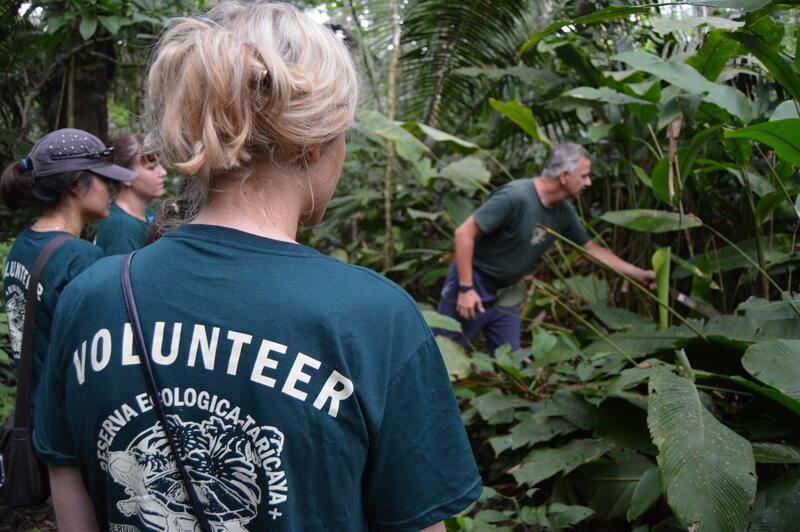 At our conservation project, volunteers help conservation experts with wildlife research and. 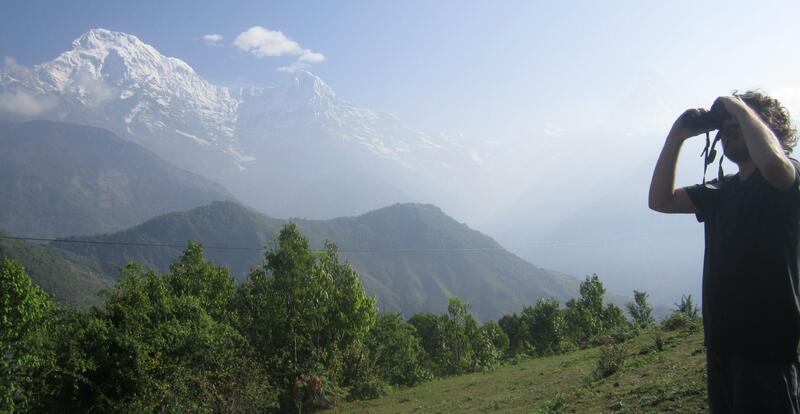 Everything we do here is part of our ongoing efforts to protect biodiversity in the Annapurna mountain range. Here, you’ll set up and monitor camera traps, and identify and count wildlife species. You’ll also help raise awareness in local communities about the importance of protecting the environment. Weekly forest surveys are also conducted to monitor the Rhododendron forest in the Annapurna region. The Rhododendron is the national flower of Nepal, and the Annapurna region claims to have the largest Rhododendron forest in the world. Rhododendron forest regeneration is slow, so these surveys seek to monitor the health of the forest and enhance the search for Rhododendron saplings. The risk is that if proper management of the forest is not implemented, Rhododendron trees may ultimately disappear, which in turn would have devastating effects on the wildlife and insects that rely on this habitat. The Galapagos Islands are renowned around the world for their environments and wildlife found nowhere else in the world. As a result of its seclusion, the islands’ ecosystems have evolved in rare and unmatched ways. Once the source of Darwin’s theory of evolution, today, the islands are a living laboratory for scientists and nature enthusiasts alike. More recently, however, the islands are experiencing the effects of extreme weather events, introduced species, a fast-growing population and exploding tourism. For this reason, conservation efforts are getting more and more important. As a result, volunteers play an essential role in supporting the Galapagos National Park with their monitoring activities. We recently started monitoring marine iguanas, the population of which was previously unknown. We found 1,500 in the last year and identified 220 newborns. Their presence in the town’s bay areas is a good indication that our educational programmes within the local community are paying off, as it becomes more protective of this species. During surveys of the approximately 2,650 sea lions on San Cristobal Island, our volunteers identified some requiring treatment for eye infections that are common among young pups and juveniles. In 2018, we helped clean the eyes of 52 young pups. By improving the safety of the nesting area at controlled sites for petrel birds and removing 50% of the black rat population (the main predator for petrel birds), our volunteers saw 142 petrel chicks hatch as a result of our monitoring programme. They also found 32 new nests that are now being protected. 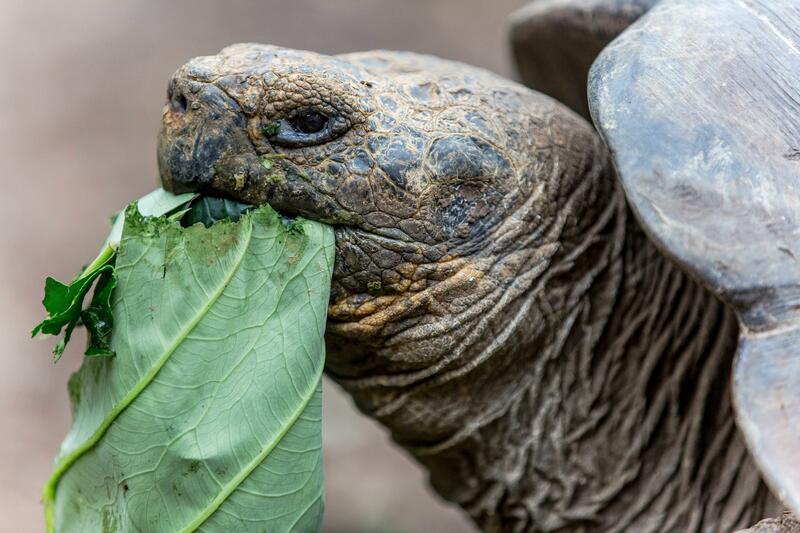 Among other efforts, you can also get involved in plenty of practical activities at the park, like caring for the areas famous Giant Tortoises! As you can see, environmental conservation comes in many forms. And no matter how busy life may be, it remains fairly easy to make small, yet necessary, changes for the good of the earth. On all our conservation projects, regardless of which habitat you choose to immerse yourself in, you’ll support environmentalists, scientists, and people from the local community. You’ll get the chance to develop important skills by working in this field, while forming an essential part of the process to protect the features of our planet’s unique habitats. Today, we are setting conservation records. And although the work is plentiful, when we are in a position to reflect on our efforts, it'll be well worth the energy. Want to know more about our Conservation Projects around the world? Get in touch with our Projects Experts. They'll be happy to answer any questions you may have.